Review: Lionville – A World Of Fools – Frontiers Music – Release: Out Now. This project was started by singer, songwriter and guitarist Stefano Lionetti. He wanted to dedicate his music to pure AOR with a touch of Westcoast and melodic rock. He got help from his brother Alessandro and after a few years of playing the local club circuit of Genova Stefano started Lionville with the help of Pierpaolo Monti and Alessandro Del Vecchio. Topsinger Lars Säfsund (Work of Art) joined the ranks and in 2011 the debut album was released. A year later followed number II. 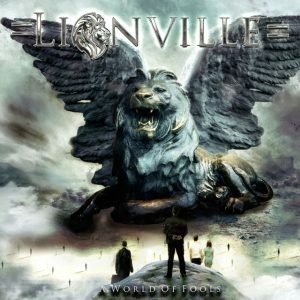 Five years later Lionville is back with that important third album. The album artwork is a real eye-catcher and is completely different compared to the previous I and II. Should this be a sign of a style change as well. But rest assure folks when ‘I Will Wait’ kicks in, you’re welcomed back in that wonderful Lionville world. The mighty tonsils from Lars produce crystal clear vocal melodies and Stefano’s riffs are pure silk and steel! Stefano has surrounded himself on this album with a real band and is planning to hit the road as well with these guys. He scores some bonus points with his sparking keyboard solo. ‘Show Me The Love’ brings in the Westcoast influences and has again a signature infectious chorus. The romantic souls are been spoiled with the hypersensitive ballad ‘Heaven Is Right Here. ‘One More Night’ is another piano induced romantic track with a short jazzy part before the solo heats up the sound. ‘All I Want’ has up-tempo parts and some deep bass lines between the hooky riffs. Stefano’s main riff in ‘Livin’ On The Edge’ is unbelievable catchy and makes you wanna jump for joy! They have always admitted their love for classic Toto and ‘Our Good Goodbye’ is a pure tribute to the masters (including the sweet as honey harmonies). The longer album closer ‘Image Of Your Soul’ also has a high Toto dosage but is somewhat more guitar orientated. Between those lovely tracks we find the fresh sound of the up-tempo ‘Paradise’. 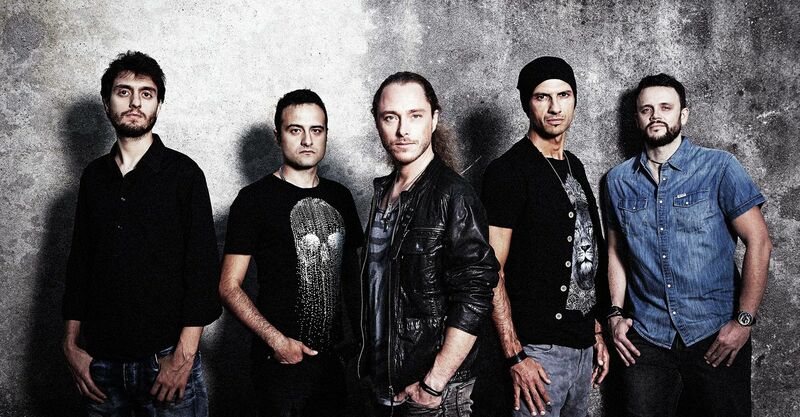 Lars voice and the melodic guitar playing from Stefano are certainly a match made in heaven. I simply can’t find anything to complain about on this album. So AOR fans are warned, you’re gonna be infected for sure when you listen to these tracks. Stefano is back after five years with a true gem of an album, where Lars shines like a bright star. This is a mandatory purchase for the lovers of ‘light’ AOR and melodic rock. I know already that this album will be in my top 10 list for 2017. I’m very curious how the band will sound live and chances are high I will be seeing them on this years edition of Frontiers Rock festival in Milan, Italy at the end of April. Review: Trick Or Treat – Rabbit’s Hill Pt. 2 -Frontiers Music – Release: Out Now.